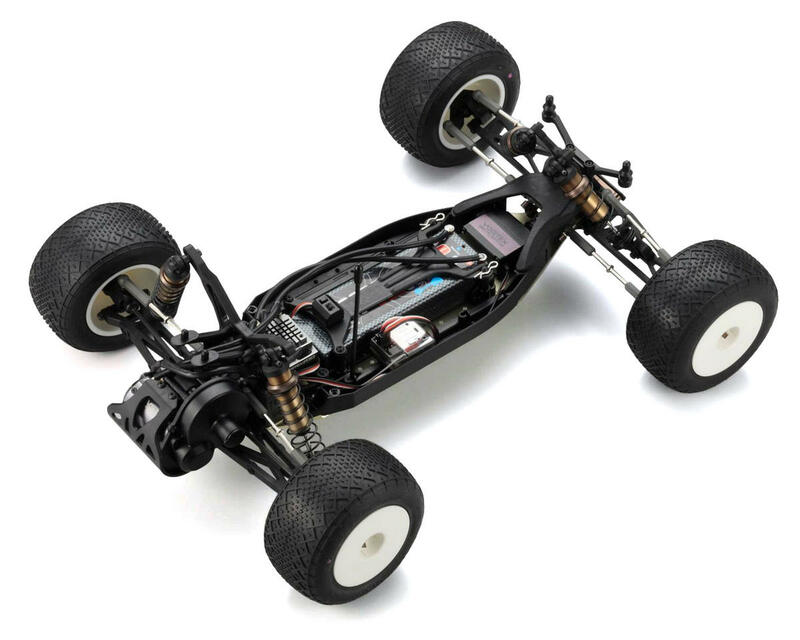 This is the Kyosho Ultima RT6 2WD Competition Electric Stadium Truck Kit. The World Championship performance of the RB6 has now been harnessed in a 1/10 Stadium Truck chassis! In its debut race the RT6 destroyed the competition in the hands of Jared Tebo to claim the 2013 ROAR 1/10 Stadium Truck National Champion title, and now this championship proven performance can be yours! Proven RB6 steering crank system allowing linear controls UMW701 and UMW702 included. Granted, the first thing people seem to notice is the price tag and that no body is included, but this truck makes up for it in unmatched precision fit and finish not to mention amazing track performance. I have been racing TLR vehicles for quite a while until december of 2013 when I built a Kyosho RB6. I was very impressed with the tight tolerances on the parts and lack of slop in the steering assembly. On the track the RB6 suprised with how stable it felt, I could now drive harder and more accurately than I could with my 22 Buggy. In January I sold my 22T and orderd the RT6. Assembling the RT6 is straight forward for any seasoned racer however newcomers to the hobby may want to consult the web for additional information regarding the build of certain components. One of the best features of "6" series vehicles is the wide variety of battery placement options (full size, shorty or saddles). All said and done I put the RT6 on the track for the first time 2/1/14 with new tires that had not been worn-in yet and it was 2 seconds faster than my 22T. It continued to get faster and more consistent as the day went on. I was running the Kyosho stock setup from the manual with only slight changes to roll-center and it felt dialed. This truck as well as the buggy jump and land better than any other car I have driven, they are a blast to drive. 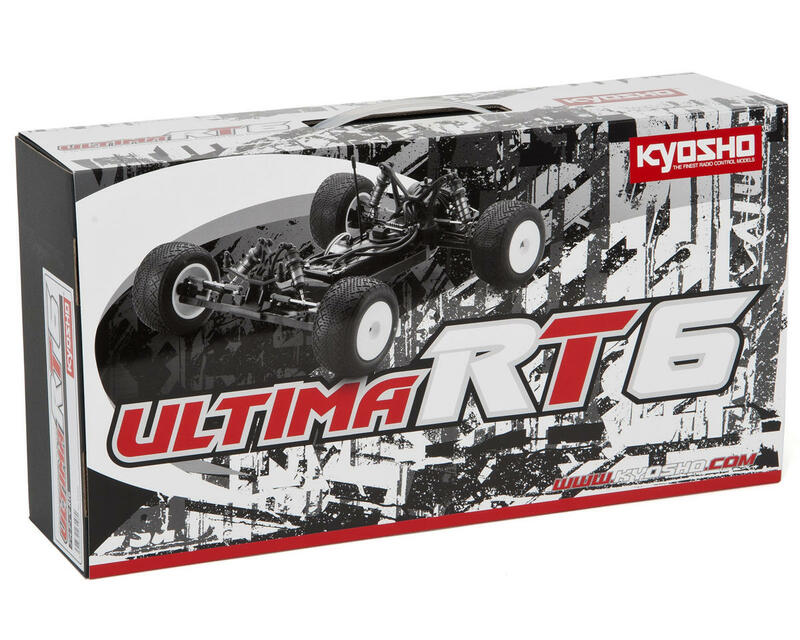 When you are ready to step-up your game the Kyosho RT6 is well worth the money. I have absolutley no regrets about my purchase and would do it again in a second. This is my 3rd Kyosho car since swapping from the TLR 22 series of cars. My RB6 was a far better car for me from the first time I put it on the track and the RT6 has been the same. It’s the same quality finish from Kyosho that puts this car ahead of the pack. I don’t see the bodiless kit as an issue what so ever. Top notch quality kit. Yes, it is expensive and does not include a body or shock oil and the manual could be better, but you get what you pay for. Materials are at least as good as Yokomo's, handling out of the box is absolutely great (RM, shock oil 550/400, PL The Edge M3/Schumacher Microspike blue on astroturf). I am contemplating to get an RB6 to match, but my B-Max2 MR is not that bad either. Can't wait to get a mid-motor body to set-up the truck as well as it can be. This thing is a missile! Over priced and no body. Brilliant idea Kyosho, lets drop the price down about $200 and actually make an effort to supply a body with the kit instead of trying to mod a T4.1/T4.2 or 22T Body to fit. 3 of 24 customers found this review helpful.